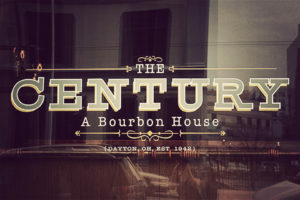 The Century Bar, Dayton’s only bourbon bar, located at 10 S. Jefferson Street is locally owned by Diane Spitzig and Joe Head. Named The Century in 1942 and bought by Diane in 1996, it was at Joe’s urging that they started to focus on bourbon in 2011 and has since been voted one of the “Best Bourbon Bars in America” by The Bourbon Review for seven consecutive years. It also made the “10 Best Bourbon Bars in America” list by Men’s Journal in 2015, and was named one of the “Best Whiskey Bars in America” by Travel & Leisure in 2014 and continues to rack up accolades and recognition across the country. The new winter drink menu rolls out today and I had the chance to preview it with Dayton’s bourbon expert Joe Head. 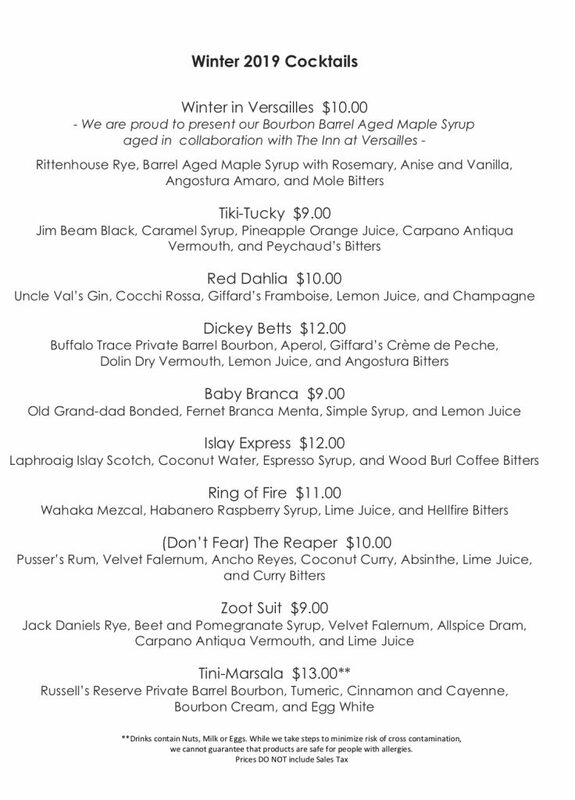 It seems only right that this new menu comes out on the 21st anniversary of Joe’s hiring as a bartender at The Century. The menu changes seasonally, Joe explained and he basically gives each of the bartenders an ingredient challenge and then allows them to creatively craft a cocktail based on that suggestion. Once each of their 11 bartenders (which include their 4 current apprentices) perfect their drink, then the entire staff sits down for a tasting, often helping each other perfect the taste profile of the winter cocktails. The Cigar City was the next one I tasted and the aroma of this drink brings back memories of my father’s den with the pipe tobacco bitters and a sweetness from the port. Next up was a cocktail created by bar manager Kelli, Strawberry Fields. Her challenge was to create a sweet cocktail, which was a challenge because she tends to usually steer towards smoky gin based drinks. She succeeded in making a cocktail that looks like pink and frothy, or as Joe described it- it’s an episode of Happy Days in a glass! Another collaboration cocktail is the Winter in Versailles which is created using maple syrup that Chef Mike from the Inn at Versailles aged in a bourbon barrel provided by the Century. With notes of vanilla, rosemary and chocolate from the mole bitters. Malia, the newest apprentice at The Century (apprentices must study, work and demonstrate their liquor knowledge for months, culminating in a 2 hour verbal test while bartending, with all current bartenders voting on whether they pass) was challenged to create a champagne cocktail for the winter menu. 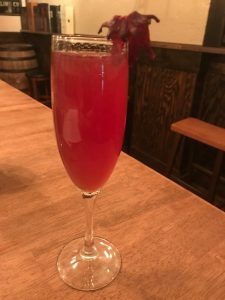 She chose the fermented raspberry flavor of Framboise complement the bubbly in creating her Red Dahlia, with a little gin and lemon juice and of course it is garnished with a flower. If you like your cocktail on the savory side (Don’t Fear) The Reaper is the one for you- made with Pusser’s Rum, Falernum- an almond, ginger, lime, clove syrup, coconut curry, absinthe and curry bitters and it’s VEGAN. The menu includes some classic cocktails that Joe explains are standards on all of their menu’s, like the Whiskey Sour, Manhatttan, Sazerac and the drink they make the most of, the Century Old Fashioned. For the bourbon purists, the bar continues to add to their extensive line of whiskey and scotch and Kelli shared that currently there are about 3000 members in the Century Club. I can proudly share that I’m #13 , but alas I doubt I’ll ever catch Michael Colvin, who holds the record for drinking the most bourbon, Joe thinks perhaps even more that he has. Of course in talking with the staff, I had to ask about the future plans. As many of you know the long talked about plans for the speak easy never came to fruition, due to complications from the first developer associated with the property. Perhaps it’s for the better, because the new plans are even grander! Hopefully within the next 6 months or so, The Century Bar will move one door south, bringing the bar and all the decor with them to a space that will allow them to seat up to 150 guests (current space seats about 75), with expanded bar seating. But that’s not all, they’ll add a 2nd floor intimate cocktail space with some booth seating and windows looking out on the city and on the 3rd floor, an event space that will allow The Century to host small weddings, corporate and charitable function for about 100 guests. 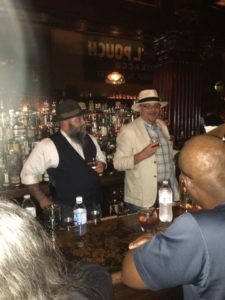 In the meantime, there’s plenty of reasons to stop by, and Joe said plans are underway to bring back the classic blind bourbon tastings, that were a monthly occurrence in the early days of their transition into a bourbon bar. Since the bar is often at capacity, Kelli suggests making The Century the start of your evening out, reminding folks they open at 3pm. You can also reserve the back room for meeting or host small bourbon tastings, which they’ll happily curate for you. They continue to purchase bourbon barrels, and Joe even told me about a recent meeting he had with the folks at the liquor commission where he was able to represent independent bar owners and help them to work on understanding the needs of small bar owners. Voted to the top of The Bourbon Review’s “America’s 75 Best Bourbon Bars,” each year since 2014 and named by Men’s Journal as one of the “10 Best Bourbon Bars in America, this historic Miami Valley bourbon house has turned many a Daytonian into a bourbon lover. According to Whiskey Advocate The “Century Bar has built its reputation in the trenches, pouring education with every shot and picking fine private selections of Wild Turkey, Four Roses, and Buffalo Trace. They have the largest bourbon collection in the state of Ohio.” Much of that credit is due to co-owner Joe Head, who’s passion for bourbon has made him an in demand celebrity at bourbon festivals across the midwest. The bar, which has been open since 1942 had hit a lull in business and as a bartender there Joe knew they needed something to revive business. He talked owner Diane Spitzig into changing the bar from what had become know as a metal bar into specializing in bourbon. Head proceeded to change the bar offerings and the clientele and became Diane’s business partner in what has become Dayton’s most nationally know drinking establishment. In honor of Bourbon Heritage month this September, Joe will be doing three “One Man Bourbon Show ” blind bourbon tastings. These will take place here at the Century on Wednesday the 12th ,19th and 26th of September. These will be very intimate, as we are limiting each night to only 12 attendees. The only place you can purchase your tickets is at the Century, located downtown at 10 S Jefferson Street, starting this Thursday August 30th at 3:00 pm. Tickets are $75 per person. Having attended Joe’s tastings before, I can assure you it will be highly educational in a fun way. Joe’s storytelling alone is worth the ticket price. But hurry, these tastings will sell out quickly! Century Bar, Dayton, OH: No TV’s. No jukebox. Just 115 Bourbons and over 300 whiskies total to choose from while you listen to music from the 1930’s. The home of the former Kette & Sons Rye Whiskey Distillery, Century Bar also regularly holds blind tastings. 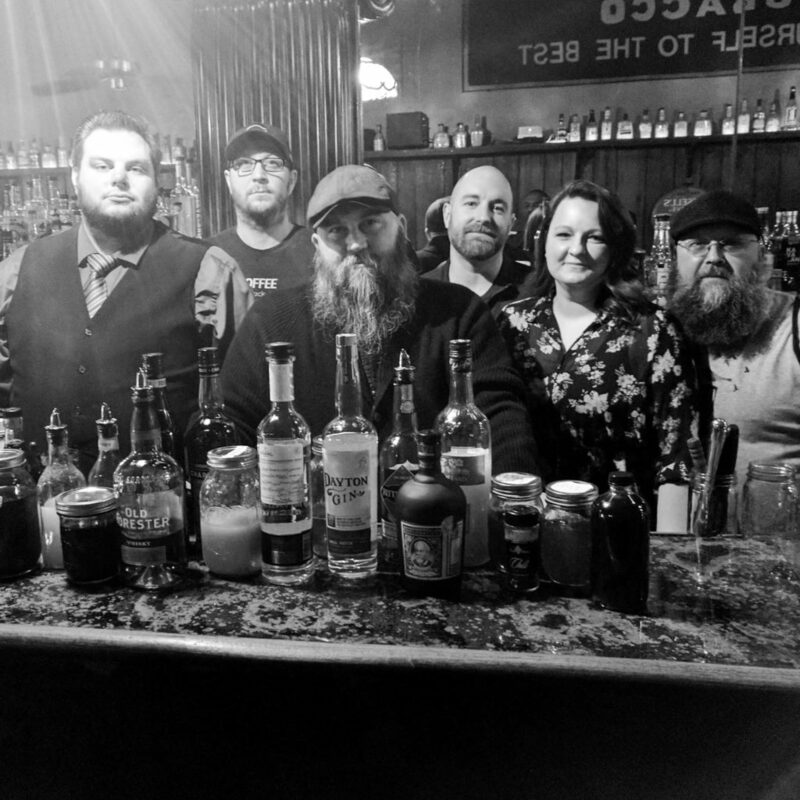 Cheers to the crew that is constantly serving up the best cocktails in town and educating the Miami Valley’s about Bourbon! 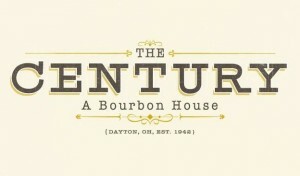 You can visit The Century Bar at 10 S. Jefferson Street, across from the RTA Hub. They are open seven days a week and just a heads up, they don’t serve food, but also don’t mind if you order in a pizza. There’s something so perfect about a simple glass of whiskey. The amber-tinted spirit has charmed generations of drinkers across the globe, from Ireland to Scotland to Japan and, of course, the United States. This winter, steal away to one of these eight whiskey emporiums and indulge in a dram (or two or three . . .) of the best darn booze the world has to offer. OK, OK, we know what you’re thinking. Dayton? As in Ohio?? But trust us, you’re going to want to check your doubts at the door when it comes to this world-class whiskey joint. As the Midwest’s best-kept boozy secret, this distillery-turned-saloon has been charming those in the know since 1862. Today, Century’s historic back bar is a testament to American spirits, with stained glass skylights; a long, gleaming copper-topped bar; and a handful of bourbon barrels repurposed into tables and stained to match the exact hue of Maker’s 46. The dedicated folks behind the bar are known to put on a slew of themed tastings, brand-specific events and educational classes throughout the month, attracting locals and thirsty out-of-towners alike. Start packing your bags, whiskey fans, because this is one tavern well worth the trip. Joseph Head being presented his KY Colonel certificate by Michael Veach. Two legends in the bourbon world. Many of us know Joe Head as the driving force behind the changing of The Century Bar to a bourbon bar. In 2012 the decor of the bar was changed, to reflect its new direction and the focus of this venue, evolved to celebrate America’s Official Native Spirit. 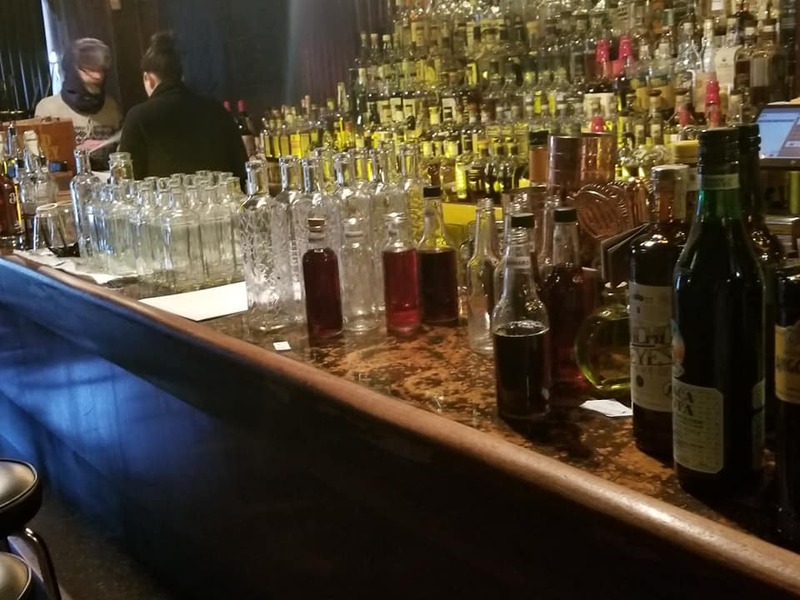 Century Bar, Dayton, OH: In what could be the most underrated Bourbon bar in the country, the Century Bar takes you back to 1862 with its 150-year-old back bar. The home of the former Kette & Sons Rye Whiskey Distillery, Century Bar packs 87 Bourbons and regularly holds blind tastings. It’s the sort of place every Bourbon drinker should visit at least once in his or her life. In 2015 Men’s Journal declared The Century Bar one of the 10 Best Bourbon Bars in America. 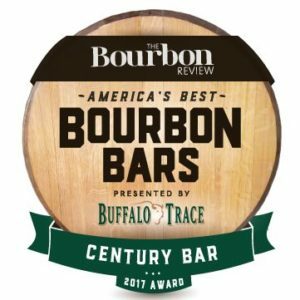 Travelandleisure.com put The Century on their list of 15 best bourbon bars in America. Joe has established himself as a bourbon ambassador and now spends more time doing talks and tastings than he does behind the bar. But he’s also made sure to keep the standards high for his staff of bartenders that mimic his passion for the bronze liquid and continue to create new bourbon fans daily. And last night General Manager Joe Head was inducted into the Kentucky Colonels, for his dedication to promoting the bourbon heritage, and thus Kentucky. 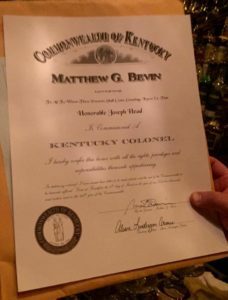 The Honorable Order of Kentucky Colonels is an organization of talented and capable men and women appointed by the Governor of the Commonwealth of Kentucky because of their service to the state. They act as the Governor’s ambassadors of Kentucky’s heritage and rich history of arts and entertainment. Bourbon is complex. It starts off as any ethanol does, trapped in corn kernels and barley shells. Those grains, the proportions of which are known as a mash bill, are warmed up to release the sugar. While the meal is still warm, the yeast and a little sour mash feast on it in stills made of a variety of materials. 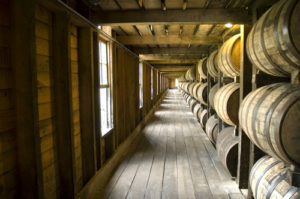 The completed wash is then poured into unused, charred white oak barrels, where they take a nap of two years or more. After that long nap, they are usually blended from their 65 percent (130+) proof) or higher barrel strength down to a more drinkable 40 to 50 percent (80 to 100 proof). The aging process at that point it stopped, and it is ready to be enjoyed. According to Travel and Leisure, in Dayton you can enjoy it at one of the best bourbon bars in the country, The Century Bar on Jefferson. 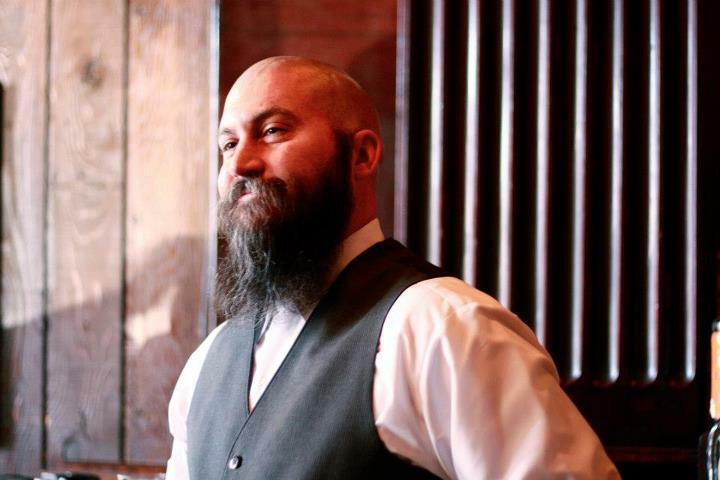 Joe Head, the driving force behind that bar, has been patiently guiding it for over a decade to where it stands now. Where it stands now is changing. The changes started to occur around the end of summer/beginning of fall this year. “It was time to get into the cocktail world,” states Joe. Through the urging of Molly Wellmann, a Cincinnati-based purveyor of bourbons and fine spirits at places like the Old Kentucky Bourbon Bar and Japps Since 1879, and his own exploration of craft cocktails, he discovered one he had an affinity for. The venerable whiskey sour rose above the rest. Joe’s reasons are ones that many loves of this cocktail site. “It is light and airy, and the egg white adds some smoothness to it. The ingredients are simple and fresh, so you know where they come from.” This led to the creation of Whiskey Sour Sundays at The Century, as well as a seasonal craft cocktail menu. “The bartenders decide the whiskey sour we are going to feature. It gives anti-sport fans something to look forward to on Sunday,” he states. By the look of some of the images they have posted on their Facebook page, they have some innovative sours. Joe’s favorite sour is the traditional one, but of the ones his staff has created, the Smokehouse Sour stands out most in his head. It features smoked sugar and vanilla, with fresh lemon juice. The whiskey sour is making a triumphant return to the bar scene. The fall season is ending, so it is time for a new seasonal menu! That menu will be introduced after Thanksgiving, and will feature “drinks that make sense for that time of the year.” It will have figs and other popular winter flavors on the menu, as well as spirits other than bourbon. According to Joe, “We use a variety of spirits, but on a limited basis. Summer is going to be for gin. We are going to use spirits that enhance the cocktail, not just using them for the sake of making a cocktail.” You are not going to see any recommended brands, either. What you will see, though, are cocktails with eggs in them. Turning through the pages of any classic cocktail book, you will see many recipes with eggs as an ingredient. 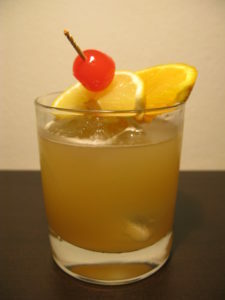 The Century makes their sours with egg white in it, to enhance the richness and the mouthfeel of the drink. Their customers enjoy them as well. “You have a better chance of choking on a bar nut than getting sick from eggs,” Joe states with a wide smile. They shake it warm as well, to minimize and possible risk of illness. The shift to the craft cocktails, among other pursuits, reflects a shift Joe sees in the clientele. “People are drinking differently,” he notes. “They used to drink to get drunk. Now they are drinking for an experience. They want to watch their drink being made. 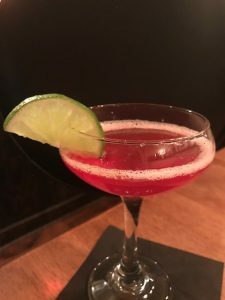 They want to be educated on what is going into it.” The foodie culture is making its way into the cocktail realm, and just knowing the ingredients is not enough. They want to know where those ingredients are coming from, how they are made, and what is unique about them. That is another angle that lead to the creation of the cocktail menu and its seasonal rotation. Bourbon barrels, as mentioned earlier, can only be used once for the creation of bourbon. After that, they are typically sold to a variety of industries to be reused for other purposes. One of those purposes is to rest another liquor in it. Most of the flavor components that give bourbon its caramelly, sweet flavor have been extracted, but all of the bourbon has not. Even after pulling out the excess liquor from the staves, some of the flavor still remains. 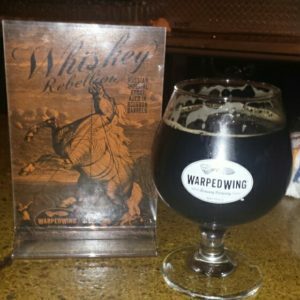 Joe and Tim Fry of The Century Bar recently collaborated with John Haggerty of Warped Wing Brewing to create Whiskey Rebellion. Using barrels from Angel’s Envy, they married bourbon with a locally brewed Russian Imperial Stout, creating a beer with a delightful bitter chocolate flavor backed with a sweet bourbon finish. It has been available locally at many brewpubs and bars, including Warped Wing, The Century, Chappy’s and soon at Fifth Street Brew Pub for an event with ARC Ohio!. The beer has been immensely popular, not only for the outstanding flavor but the limited availability as well. Joe and his team did not stop there. He is also working with the team at Toxic Brew Company on another bourbon barrel beer, this time utilizing a Belgian quad (much like Toxic’s Abby XXXX) and used barrels from StillWrights in Fairborn. It will be released exclusively at Toxic in early December, so keep an eye out for an early holiday present! 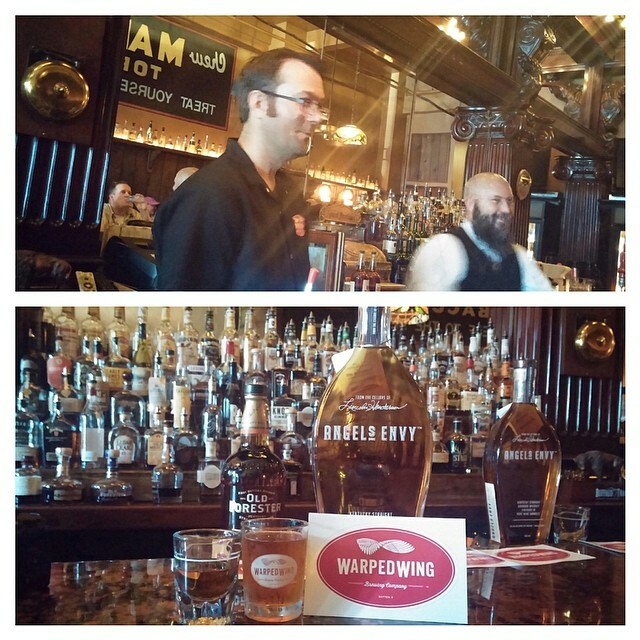 The collaboration with Warped Wing, Whiskey Rebellion, was a hit. Cocktails…beer…there is plenty going on with Joe Head. He has his eyes set on more things as he prepares for 2015: expansion. “We need to expand, as it makes sense for us to do it. Some people will not go downtown, and there are some limits to our downtown location that prevents us from exploring certain concepts.” The second location of The Century is going to be in the south of the city, near the Dayton Mall. It will have two patios, one for smoking cigars and one for the non-smokers just wanting to enjoy a fine bourbon outside on a warm summer evening. Another expansion in the works is not as far from their current location. In fact, it is right next door to it. “There is going to be a speakeasy attached to The Century, with a false store front and a secret entrance in the back of our bar. We are only going to have it open on Friday and Saturday only with reserved bar stools, so we can know the numbers better. That will allow us to know how much we need to prepare and keep all of our mixers fresh. Because it is a speakeasy, it should also be something that is a little elusive.” And if that is not enough on his platter, he is also considering a tequila and taco bar on a corner near The Century. More locations for any business means hiring more staff. One of the hallmarks of The Century, and what keeps people coming back night after night, is not just membership to the Century Club. It is the atmosphere that the employees have created of educating their customers, not just serving them. It is talking with the customers and finding out what bourbons they enjoy, suggesting similar bourbons, and making non-bourbon drinkers feel right at home at the bourbon center of Dayton. “We have an apprenticeship program for anyone who wants to become a bartender here. I need to know that when I am away from the bar, the brand is still being well represented.” Joe requires that anyone interested in becoming part of the team to work as a bar assistant for six months, learning not only the technical specifications of the cocktails and bourbon, but the culture that The Century has developed. “I want to see that you can educate and entertain the customers while you make the drinks. There will be timing for the drinks, but I want to hear how you speak and interact with people.” The final test is over 150 questions, in front of a panel of judges. The Century’s move to the south does not mean you are going to get less of an experience. The quality is expanding too. “The Century will always be about whiskey. The cocktails will make us well rounded.” Joe was very matter of fact about what was important to him: no matter where he expands to, from collaborations to new locations, the quality of the product stays the same. The Century had twenty bourbons when he began, and he has grown the small bar to over one hundred bourbons and a top stop in the country for bourbon enthusiasts. The respect he has for the industry, his guests, and his community is evident. It is one of the pieces that makes The Century such a great place to sit down and have a bourbon, beer, or any cocktail with friends. And say hello to Joe while you are there. He would love to make a few more friends over a nice glass of whiskey. 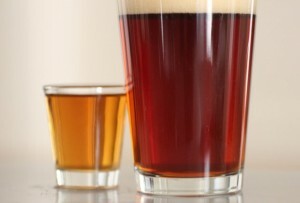 The idea of a beer and a shot aren’t new, but as the craft beer movement is expanding the flavor profiles of beer available in the Miami Valley and with the expertise of the staff and the abundance of bourbons on the shelf at The Century Bar, it just seems inevitable that the bar has been raised on the concept. So when Warped Wing Brewing Company and The Century announced a paring event for this Saturday, May 31st, I knew it would be something special. So when Joe invited me to attend the pairing meeting, I was pretty excited. Joe Head and Tim Fry from The Century and Head Brewmaster John Haggerty, Sales & Marketing Manager Nick Bowman and assistant brewmaster Jeff Fortney of Warped Wing (pictured left to right)showed up at the bar for the planning session full of ideas. They all agreed on a working theory of starting with the beers- lightest to heaviest and then finding the most complimentary bourbon to pair with it. I know everyone thinks that would be an easy job, but with the tasting, discussion about finish, mouth taste and complimentary vs. contrasting flavors, I realized that this was real work. Were flavors that blended better than opposite tastes? 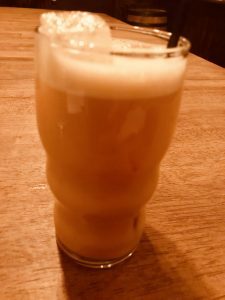 Did a too strong bourbon wash out the spice in a beer? “The power of the pairing can calm down an IPA and give it a creamy mouth feel,” observed Joe Head after one potential pairing. At one point, there were over 30 glasses on the bar and it was pretty confusing trying to keep up what was in each glass. I could only stick around for an hour and so I’m not sure what the final pairings will be, but the beers to be featured start with a brand new Warped Wing release – Catfight- a Belgian Saison, followed by Flyin’Rye, – a rye IPA, Gypsy Queen, a Chile Beer and 10 Ton – an Oatmeal Stout. The bourbons won’t be announced in advance, so you’ll have to make a reservation for the Sat 4-6pm event to find out what they are. It’s a true bargain at $25, and includes four 4oz beer and 1 oz bourbon duo’s served up with a good deal of background from some of the most knowledgable bartenders and beer aficionado’s this town has to offer. There are only 50 tickets available and about 1/2 of those have been sold already. Call The Century at 223-3382 or stop by to reserve your seat. And just from the flow of conversations and chemistry that was evident between these men that take their drinking seriously, you can be sure that this won’t be the only partnership between Warped Wing and The Century. Update: The event was a sell out! These words were written by Michael Veach in his most recent book, Kentucky Bourbon Whiskey: An American Heritage. Bourbon was officially designated as “America’s Native Spirit” in 1964 through a bill which may also mark the last time Congress agreed on anything. Not all whiskey gets to be bourbon. The whiskey has to be made in the United States (though over 90% of all bourbon is made in Kentucky) and it has to contain at least 51% corn in the grains used to distill it. Only pure water can be added to the finished product, and there are a few other technical details it must comply with. Bourbon has been made in this country since the 19th century, but no one can really pinpoint an exact starting year. What we can pinpoint is that over the last decade, it had been growing in popularity by leaps and bounds. 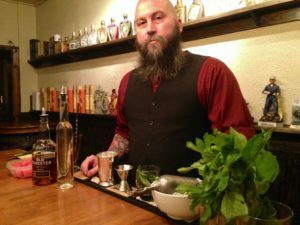 We are lucky that in Dayton we have one of the best bourbon bars in the country, The Century Bar, steered to prominence in the bourbon scene by the very well respected Joe Head. 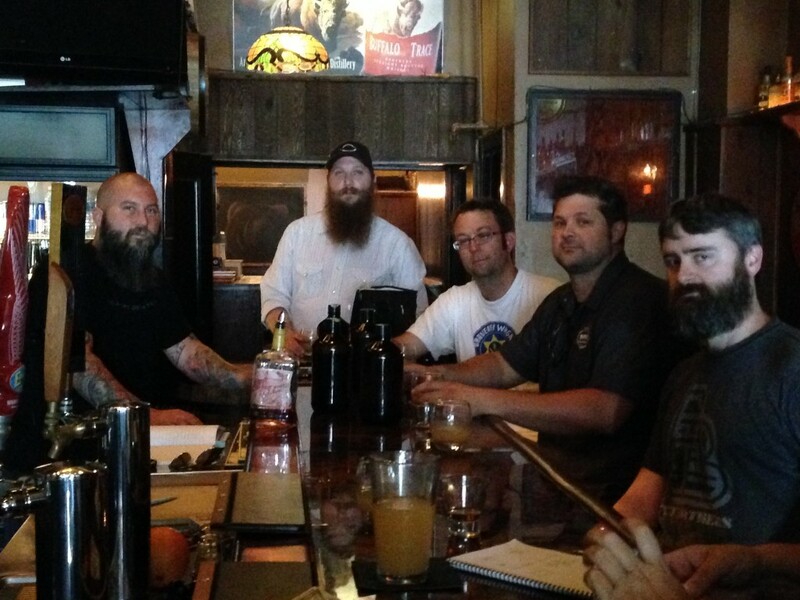 Joe is brining Mr. Veach to The Century on October 19th for an eight hour class on bourbon. A native of Jefferson County and a lover of history, Michael Veach is currently an associate curator of Special Collections at the Filson Historical Society, specializing in the delicious history of bourbon. Mr. Veach has visited the Century before, back in September of 2012. He spoke there about bourbon, and “was very impressed” with not only the bar, but with the deep knowledge the staff had of bourbon. While studying to become a history professor at the University of Louisville, he was approached by United Distillers to help archive and organize some of the papers they had from an old distillery. “Being in Kentucky, I always drank bourbon,” Veach notes. “I learned a lot in the first year, like how many flavors there are in bourbon and how complex the flavors can be.” When he started his bourbon journey, there were a few other things that surprised him as well. “What really surprised me is how little written history there is on the subject. Very unplumbed. In my book, every chapter could be its own book.” He spent time learning all about bourbon, meeting with master distillers and historians and reading any book he could find. Kentucky being the home of bourbon was no accident. What makes The Bluegrass State such a prime place for bourbon? “It was geography, really,” Mr. Veach explains. “Kentucky is the first American west. When people were travelling down the Ohio River, there was no sign saying ‘Settle Here’.” It was not just the Ohio River that gave Kentucky an advantage when it came to distilling bourbon. “Kentucky has more miles of creeks and rivers that any other state but Alaska. This region is on a limestone shelf that gives you water that is iron free. Iron is bad in distillation and fermentation. This state also has the right climate, with warm summers and cool winters. Put it all together, and KY becomes the center. “They were making whiskey made on both banks, and it was called Kentucky whiskey. It was not until the 20th century that Kentucky cemented its reputation. There was good distillation on both sides well into the 20th century. The whiskey being made in Lawrenceburg, IN is just as good as what is made in Kentucky. Ohio was the birthplace of temperance, and did not have the support for distillation that Kentucky did.” The combination of easy access to transportation, good water, and friendliness to the distillers made Kentucky the right environment for this budding new spirit. That tradition has continued through modern times. 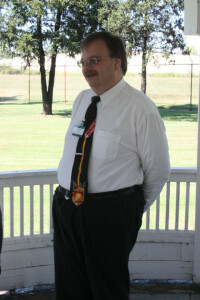 Your instructor for the day will be Michael Veach, bourbon historian and member of the Kentucky Bourbon Hall of Fame. The glass, book of knowledge, and certificate you will receive for completing the class. Looking into the past and understanding it as well as Michael does have some advantages. He can see what people were doing in the past, what that led to, and use that to come up with some ideas about where the future of the business is going. Much like the beer business, he sees craft whiskeys being coming up to challenge some of the bigger distillers. But craft distillers have a much different challenge than the craft brewers did. “Craft breweries have impact fairly quickly. They only have six months or so from when they first start brewing to having a product to put on the market. Whiskey will take four, five, or six years. Craft breweries had to compete against “crap breweries”. The bourbon industry has always had a well made product. They have to prove they can make a product as good as what the big guys are doing.” There are many distilleries in Ohio that are looking to take up the challenge; Red Eagle Spirits in Geneva, Watershed Distillery and Middle West Spirits in Columbus, Woodstone Creek Winery in Cincinnati, and Flat Rock Spirits in Fairborn are all either in the process of distilling bourbon or have it out on the market. Even with bourbons that rival their Kentucky counterparts, they all have a big obstacle in their way: cost. “Craft distillers are going to have to charge more because of a lack of volume. You can spend $35 for a craft bottle of bourbon or spend $18 for a bottle from a big distillery. The cheaper one tastes just as good, so why spend more money?” One bourbon that Michael does see making a big splash soon is Wyoming Whiskey’s Small Batch Bourbon. “Kirby Wyoming hired Steven Nally, retired distiller from Maker’s Mark. It is three years old, and it is a wonderful product. It is as good as I have had in a three year old product, and it is only going to get better. I do not see Cleveland making this kind of splash. Wyoming wants to get into the business for the long run, making a high quality product. Cleveland is trying to take shortcuts. I can see them trying one bottle, but not trying a second. You can sell that first bottle, but the secret is selling the second one.” And from the sound of Michael’s voice as he spoke about it, Wyoming is going to be selling a good amount of bourbon. The class that will be happening at our celebrated Century Bar will have eight sessions over eight hours. 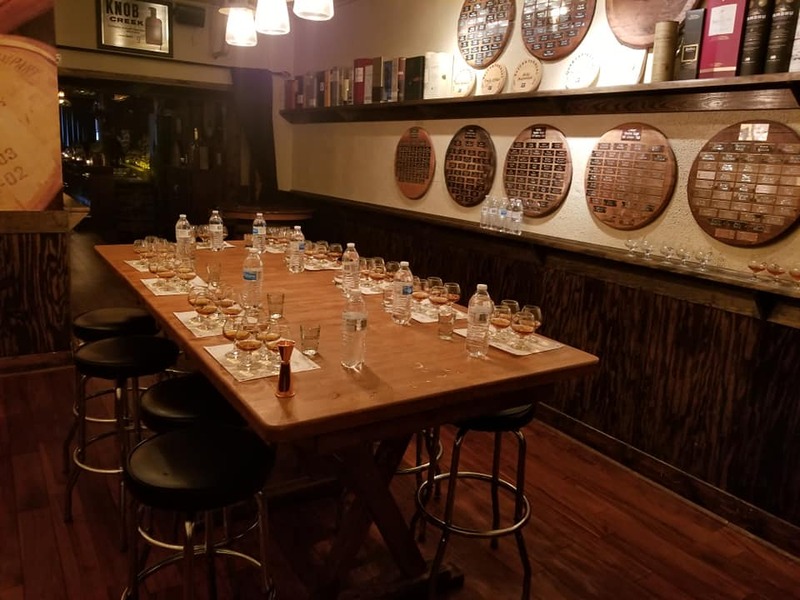 Each session will provide information on different topics, such as the history of bourbon, how to taste it, and a sampling of the distinct styles of bourbon and some other whiskeys. Lunch will be provided in the middle of the day, and your newfound skills will be tested with a blind tasting at the end of the day. You will also earn a certificate showing that you completed the class, as well as a commemorative glass and other goodies to take home with you. You are also helping the Filson Historical Society, a privately funded Historical Society that was founded in 1884 and is internationally known for its first American West and antebellum south collection. It contains letters from William Clark, including six letters written while on the expedition with Lewis, more than any other institution in the United States. Our collection focus is Kentucky, the Ohio River Valley and upper South. 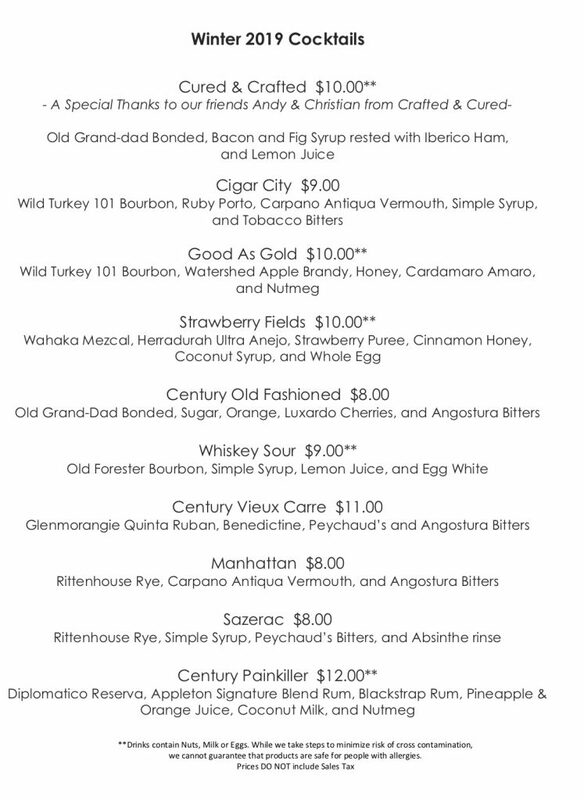 The Century Bar offers a great selection of bourbons and bourbon wisdom. Like the small rivers that join together to form the Ohio River, the knowledge and experience Mr. Veach has weaves a story about bourbon. This is a wonderful opportunity for the bourbon enthusiast to learn a little more about the history of the spirit, or someone just beginning their journey into the wonders of bourbon to jump start their education from one of the masters in the field. One story he told me about his time in the bourbon industry goes back ten years, to when Booker Noe was in charge of the Jim Beam distillery. “The first time I ever heard from Booker Noe from Jim Beam, it was back when the small batch came out. 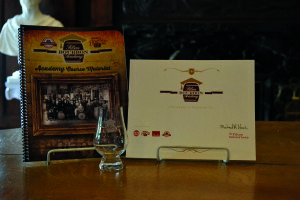 Booker and Paul Pacult were doing a series of tastings to promote the new craft bourbons they were introducing. I was invited to the Seelbach Hotel in Louisville. Paul gets up with the first three bourbons, talking to the crowd about all of the flowery descriptions of what you are tasting. When he gets to the last bourbon, he turns to Booker and says ‘He has to tell you about the last one.’ Booker stands up and tells his story about how Booker’s was developed. He finally declares “And this is how I like to drink it!” He pours the Bookers into water, at about 50/50 mixture. He then takes a drink and declares. “And it’s GOOD!” It was so much more effective than any of the descriptions and information Paul gave. Booker was a very good marketing person. What Booker said was more memorable than what Paul did.” There are so many other stories for Michael to tell. You know where to go on October 19th, and where to get the tickets for the event. Cheers! This month is a big month for The Century, located on Jefferson Street downtown. 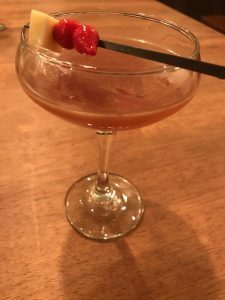 It is National Bourbon Month, and for the premier bourbon bar in Dayton, this is an opportunity to really show this community what a gem of a place they have hidden in the city (View all of the different bourbon tastings/events at Century Bar here). They have an incredible line up of events, from blind bourbon tasting this Saturday to a representative from whiskey distilleries later in the month. They kick it all off tonight with a midnight toast to get Bourbon Month into high gear, and will salute the passing of the month in the same way. While the outside my not grab the eye as you are driving down the street, once you get in you cannot help but notice the grand, dark wood bar that dominates the main room. It has a wide collection of bottles, most of which are whiskeys in some way or form. 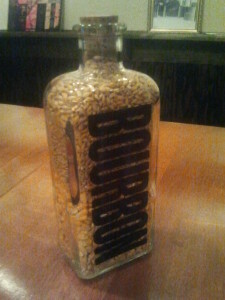 The lights in the bar are dim, and some of the lights that exist are flooding over bourbon bottles filled with grains. It is comfortable, warm, and intimate. The people behind the bar know their whiskeys. They are tested on a monthly basis by the general manager of The Century, Joe Head, because he knows he cannot always be there. He wants to make sure his bartenders, Tim, Jared, Heather, and Josh, know what they are talking about. Joe took some time this week to sit down with me to talk about the bar and its history. A few of these were found in the walls while remodeling the kitchen. 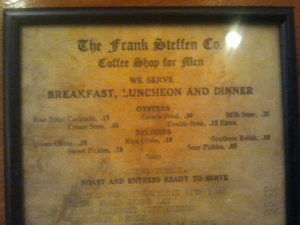 The original menu. 1. How long has The Century been around? It has been here since early 1900’s as the Frank Steffen Company. It has been The Century Bar since 1942. It was originally a lunch and Chaminade Julienne hangout. It was the number one place to eat downtown when Dayton had more business people looking for lunch. 2. Why is it named “The Century”? It was changed in 1942 to The Century. I don’t know what significance was to them. Some of that history was lost. Things look similar as they did in the 70’s. It was a restaurant during day, and a bar at night. No food was served past 4 PM. When I first started here there were low top tables and chairs. All we did in the last year is strip the décor back so the bar is the focus. No more Jagermeister machines, no more Budweiser neon signs. The bar speaks for itself. All of our lights out there are bourbon bottles and they’re filled with grain that makes the recipe for each of the bourbons. All of our tables, we made them ourselves, buying the barrels from a cooperage in Louisville. We bought the furniture tops from a local place. 3. How long have you been with the place? Since February 1, 1998. Diane Spitzig owns the bar, but I run the business for her. I wanted to do this for a few years. I did not plan on being here for fifteen years. We’ve always carried twenty bourbons, because I am a bourbon guy. In New York, San Francisco and Chicago, this is what they are doing. They are getting away from the beer. You want to drink less and drink better. For us, it felt like the way to go with it. 4. What made you become a fan of bourbon? You know, I would love to say I sat on my grandpa’s lap when I was a kid. But honestly, when I was a kid my friends and I were Hank Williams Jr. fans. When we got old enough to think about drinking, we heard about Jim Beam. Today I still drink Jim Beam. I wish there was a more romantic story. There’s not. It’s the truth. 5. What was the impetus to mold The Century into a bourbon bar? How successful has it been? I always thought that this was possible. You can be one spirit specific. You can see it more and more in the magazines. We have representatives from Jim Beam come here and say “You guys are way ahead of the curve. What you are doing here, they are doing in the big cities.” I spent fourteen days in Louisville, KY, visiting every bourbon bar I could go to, and I never left like we were not doing it right. The only thing we are limited by is Ohio’s regulations. They have to get it so we can get it. It is quite the process. We were in the Jockey Silks in the Galt House, a legendary bourbon bar, and another couple was sitting next to us. The bartender was talking with me for fifteen minutes, asking me about my opinion on bourbon. 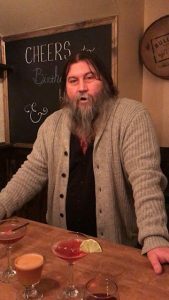 They asked the bartender a question, and he gestured to me and said “I don’t know, but I bet this guy could answer your question.” We laughed. I went there to be wowed, and left feeling good that what we are doing here with our staff is right. Bourbon is a passion for us; it is something we believe in. 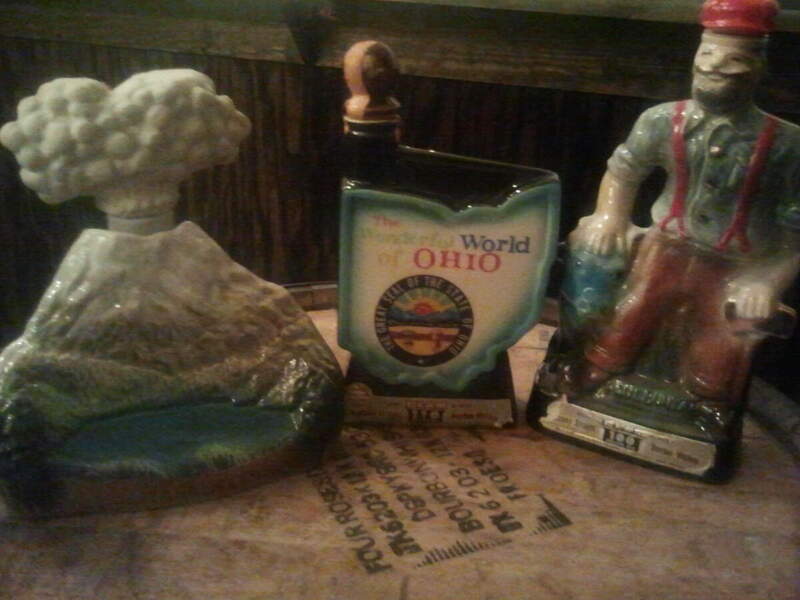 A small preview of vintage bourbon decanters you can see during Urban Nights. 6. Where did the idea for a blind bourbon tasting come from? I had read and talked about bourbon tastings. The biggest hurdle we have with bourbon is label prejudice. People say “I do not like Jim Beam” or “I do not like Wild Turkey”. That is not necessarily true. They make a lot of bourbons, they just don’t make one. We want to strip away everything but what is in the glass. We had seventeen people at first one in October. The next one we had thirty five, and we haven’t had fewer than forty five since. All forty five people at the last one liked number six. It was Wild Turkey 101. If they knew, they would have told you they did not like it. When all they judged is what their taste buds told them, the whole room loved it. We are not trying to trick people. We are just trying to show them not to get caught up on what is on the front of the bottle; what is in the bottle is what is important. You try to separate yourself from everyone else. We are on an island here by ourselves. We are a downtown bar; a destination. Part of our deal is to get away from the dive bar. It becomes negative. Most people that work here are in their 30’s. You have to see the market and separate yourself. It gives people quality option to come to downtown Dayton. The bourbon tasting we did earlier tonight, we tied also in with Olive. Those women are getting the whole downtown experience. 7. What is the “Bourbon Rocks” event for the Downtown Dayton Festival about? We’re trying to tie into the Downtown Dayton Revival event and promote it as well. We will feature some appropriate bourbon that weekend. When we did our March tasting, we did two distilleries versus each other, to tie in with the March Madness play in game. We are just trying to promote from another angle what downtown is doing. 8. Why should more people be drinking bourbon? I think things cycle, like clothing. In the 60’ and 70’s, people wanted to get away from what their mom and dad drank and went to the vodkas and gins. It was the opposite of Ozzie and Harriet, like dad had a glass of whiskey after work. We get a lot of twenty-somethings that want to drink what their grandparent’s drank, or their great grandparents drank. All things come around. When you sip on it, you’re not just shooting it at a party. We have 242 people in signed up in our bourbon club, half of them are women. Half of tickets for Saturday’s tasting are for women. We don’t believe bourbon is for everyone, but it is for enough people. We have sixty eight bourbons and one hundred and twenty total whiskeys. Bourbon is our focus. 9. What do you think of the trend of flavored bourbons, like American Honey by Wild Turkey, Tennessee Honey by Jack Daniels, and Red Stag by Jim Beam? As a traditional bourbon drinker, it is not for me. But they don’t want me to drink it. They are trying to get past that “whiskey” thing. There are people who absolutely love it. We embrace it. Whatever grows the industry is good for us. They make good Manhattans. We mix it with lemonade and sweet tea and Coke. People ask me “What is the best way to enjoy whiskey?” Drink it any way you want, it’s yours. The best part of bourbon is there is no right or wrong way to enjoy it. This party that was in earlier said they would never have guessed they would enjoy sitting and drinking bourbon that much. That is what we are looking for. The soul of the bar and bourbon enthusiast, Joe Head. 10. What is your favorite bourbon? What day of the week is it? George T Stagg and W.L. Weller are two of my favorite bourbons. Stagg only comes out once a year. It is a 141 proof from Buffalo Trace. It comes out every October. This 1792 is an everyday drinker for me. It is in my bourbon flight. 11. How long have you been doing bourbon flights? December was our relaunch, so we started the flights in December. Each of the guys that work here has their favorite four, and when you reach the fifty whiskey mark in the club you also get to pick your favorite four. We feature that for a few months. We also do one that’s called Aged. I show people how white corn whiskey is and then increment the age so they can see how whiskey matures. The flights are very popular. 12. Do you need a beard to enjoy bourbon more? No! Tim and I both, obviously, have facial hair. We thought it would be a nice night (September 22nd) to tie beards in with bourbon. Come in and wear fake beards. Draw in a handle bar moustache. We look forward to coming to The Century all month to celebrate. If you are someone who loves bourbon, or have just been curious about it for a long time and want to try it, now is the time, and this is the place to educate yourself on the finer points of America’s spirit. Happy National Bourbon Month! Cheers! This Must Be the Party!